Flow & Fit Tattoo Challenge! 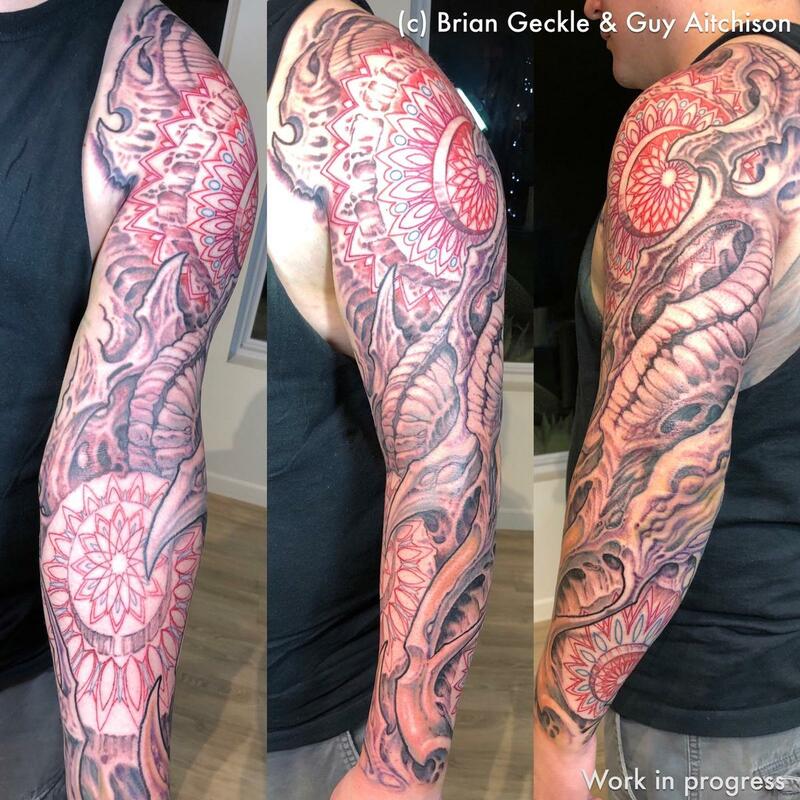 Here’s a recent challenge that Brian Geckle and I took on- bringing together dimensional organic biomech with linear graphic mandala designs. Part of the solution to this puzzle was to create circular planes in the design on which the mandalas could be inscribed. You can read more about our strategy for this project in the Flow&Fit chapter of your ReinventingTheTattoo.com subscription!